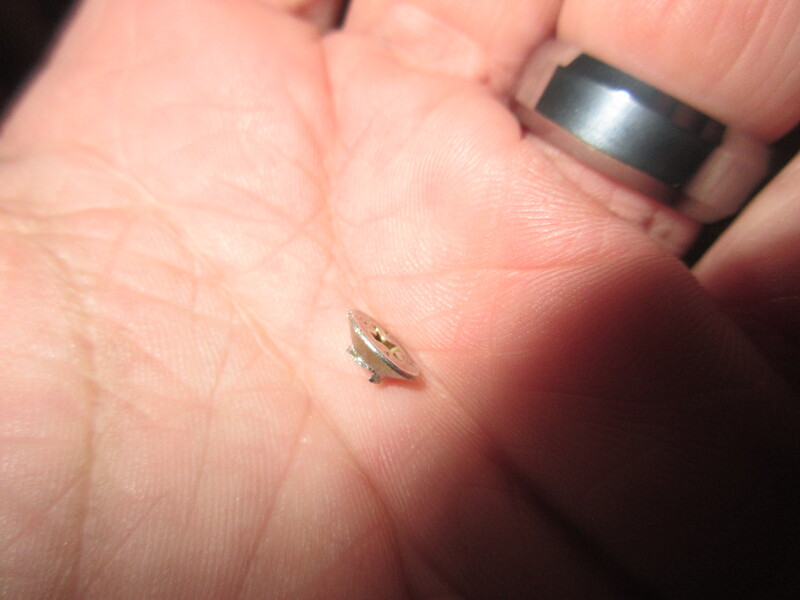 You can just barely see the fresh aluminum around the head of the screw. 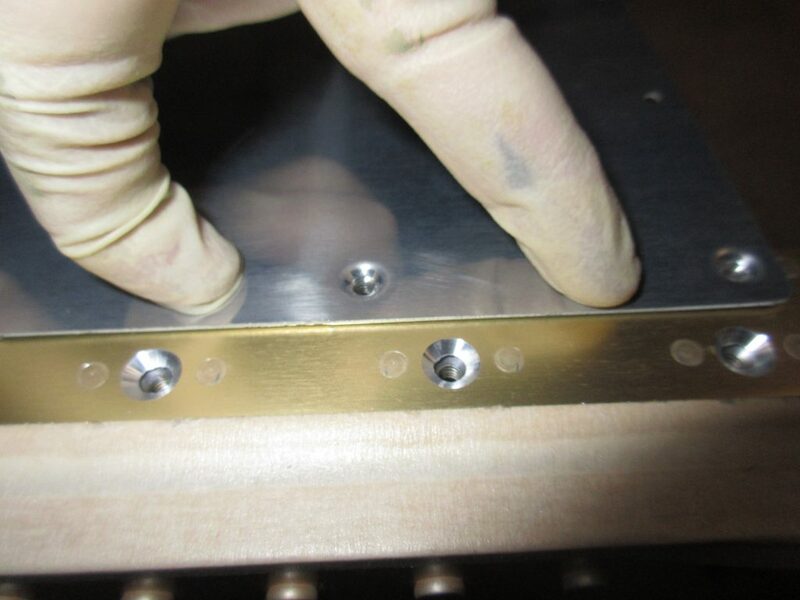 To give it a really good test, I used some scrap sheet aluminum the same thickness as the tank, drilled and dimpled a #8 screw hole in it and made sure it would nest into the countersunk hole flush. It did, so I locked my microstop down at that setting and countersunk all the other fuel tank attach screw holes on both spars. 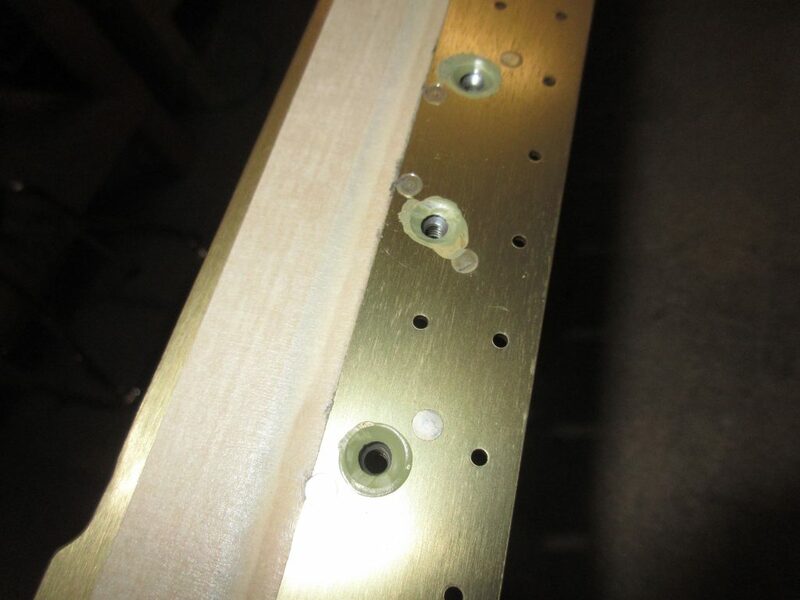 Finally, the last thing to do was to prime these new countersunk holes. 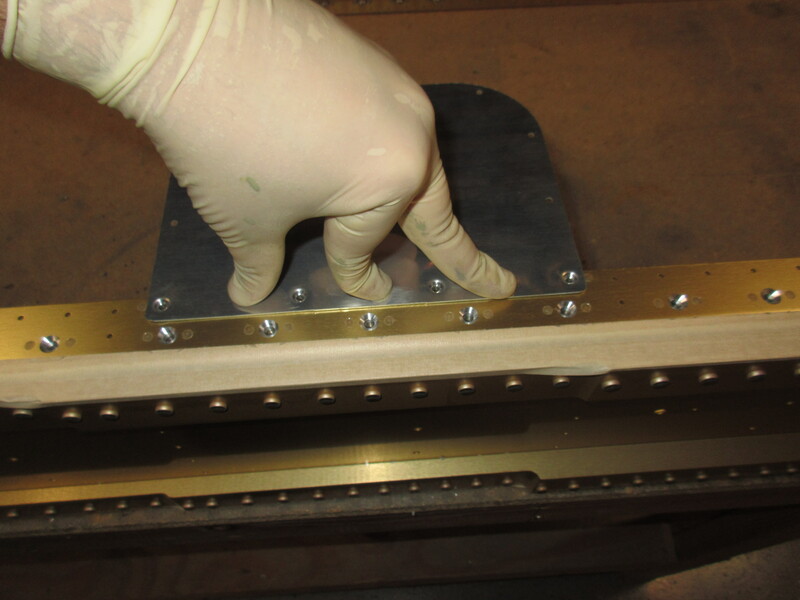 The spar ships anodized, and drilling the countersinks leaves the metal in those spots open to corrosion. 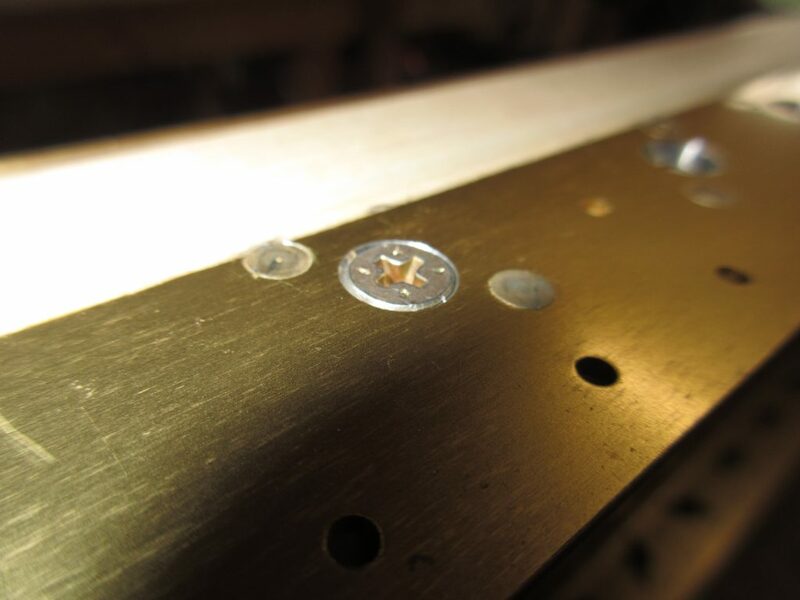 Vans recommend that we prime these spots to prevent corrosion. So, I mixed up 10 mL of AKZO (5 mL of each of the two parts) and let it sit the required 30 minutes for induction. In hindsight, 10 mL was a bit too much, I probably would have been just fine by mixing about 5 mL total. Yep, thats a high tech paint applicator and mixing cup…courtesy of Q-tip and Gerber baby food. 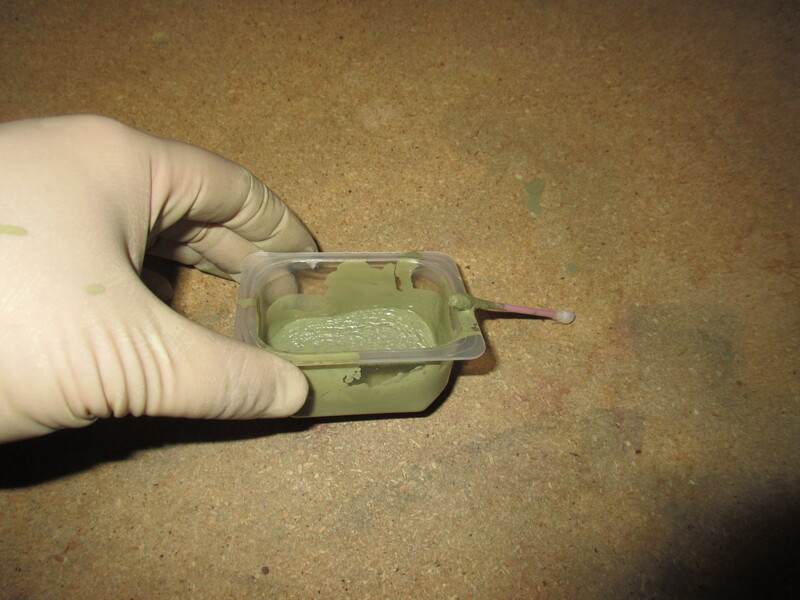 I used about 5 Q-tips to apply the primer after it had inducted, and the worked well enough. I got a little messy with the application on purpose, as I wanted to fay the primer out from the holes to ensure there was no edges that moisture could penetrate. Tagged Nut Plate, countersinking. Bookmark the permalink.